These programs are given under the direct supervision of our founder mentor Anand Krishna, assisted by Ma Archana (director: L’Ayurveda) and a team of selected experiences facilitators. Special offer for Travel Agents/Group Leaders. Contact us. Based on his personal life experience, “Neo Self-Empowerment Meditation” was developed by Anand Krishna in the early 1990s when he suffered from Leukemia (Blood Cancer). Through his encounter with a mysterious monk in the Himalayas, he was inspired to develop these meditation techniques which miraculously cured him from his cancer. One of the exercises in this program is very profound that has been implemented to help the survivors of natural disasters since 1998. A study by Researcher Dr Suriastini, et.al (2012) associated with RAND and Survey Meter shows that the techniques have a positive effect on mental health recovery in the post 2010 Merapi eruption in Central Java. The benefit of the program is not limited to reducing post-traumatic disorder and managing stress alone, but it also empowering the participants by building their self confidence. The complete Neo Self-Empowerment Meditation consists of 5 techniques below. Once you have tried and mastered the technique, you can do it on your own, anywhere and anytime. This is particularly appealing to those having a very short time, a very tight schedule, but would still like to experience a meditation technique that can rejuvenate and refresh their energies instantly. 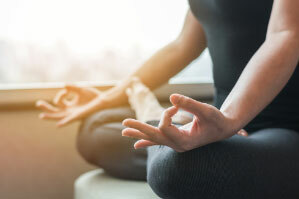 This technique will not only provide us with tools to culture our emotions, it will also create a wonderful feeling and balance our energies. This will be very helpful for people having problems in their relationship and experiencing anxieties due to emotional issues. This dynamic technique helps to free you from all kinds of anxieties, traumas, fears, worries, etc. You will feel reborn after just one session. Redefining love, and using the Energy of Love to better your life, to Empower yourself, and to Improve your relation both with your-“self” and others. Help you being the master of your mind and transform it into intelligence. This is a small group session, minimum 1 participant, maximum 5. Crystals are believed to have properties that facilitate healing. They have the ability to hold and emit energy vibrations. When placed on the body, they can affect the body vibration and mental/emotional state. 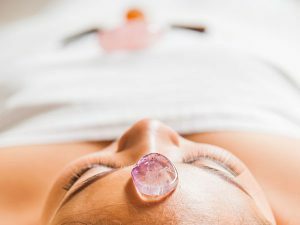 This therapy utilized the power of crystals to release stress and balance the chakras or energy centers. It helps to release mental, physical and spiritual blockages by facilitating the free flow of energy throughout the body, improving the state of health and well-being, creativity, intuition and much more. The word Reiki comes from the Japanese word (Rei) which means “Universal Life” and (Ki) which means “Energy”. It’s believed when one’s ki is strong and free flowing, the body and mind is in a positive state of health. When the energy become weak or blocked, it could lead to symptoms of physical or emotional imbalance. A Reiki session can help ease tension and stress, and induce deep relaxation. This hands-on therapy can help supporting the body to facilitate an environment for Body/Mind/Emotion Healing and Soul Development. This is not the ordinary Reiki which belongs to any of the several genres currently offered by many. Based on Anand Krishna’s findings as recorded in his autobiography “Soul Quest: Journey from Death to Immortality” (published by Gramedia in Indonesia, and New Age in India). This method make use of the Original Sanskrit Symbols, which were disclosed to Anand Krishna by the guardian of an ancient manuscript, his “personal book of life”. So, this is Unique in every way. For Self-Healing: Approximately 3-4 Hours depending upon the Receptivity of the participants and the size of the group US$150 with Coffee Break, Handout and Certificate of Completion. For Distance-Healing: Approximately 2-3 Hours US$250 with Coffee Break, Handout, and Certificate of Completion. Minimum Participants: 5 for Self-Healing, and 3 for Distance Healing. Individual/private sessions can also be considered with extra charges. For the Distance Healing, a participant must have completed the Self-Healing and practice it for at least 3 days in a row. For the Instructor Certification, a participant must have completed the Distance Healing and applied it on at least 3 persons. Participant also must complete one the Complete Neo Self Empowerment (NSE) Workshop. This ceremony has the gist of all. First, the holy water cleanses the body – both spiritually and physically to bring tranquility to the heart and mind. 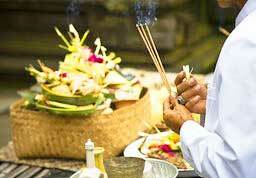 Then, the remaining negativity and infliction are offered to the sacred fire to be burned so they leave no residue.